The study was carried out in Anambra State, Nigeria to assess the influence of human capital attributes on occupational diversification among rural women. Simple random sampling technique was used in selecting 462 respondents for the study. Data was collected using questionnaire. Descriptive statistics such as percentage mean scores, standard deviation; factor analysis and correlation were used for data analysis. Results show that the respondents were mostly influenced by certain human capital attributes namely; possession of entrepreneurial skills (59.5%), number of dependants in the household (55.4%), access to information on changing demand patterns (52.6%) 52.4% and perceived health status (52.4%). They were also highly constrained by lack of women empowerment training programmes in rural areas (M= 3.5), poor skill training (M= 3.5), inadequate training opportunities (M= 3.4), poor educational attainment (M= 3.3), among others. Developing skills in rural women are keys to improving rural productivity, employability and income-earning opportunities, enhancing food security and promoting environmentally sustainable rural development and livelihoods. It was recommended that adult literacy programmes should be introduced by government and non-governmental organizations in order to help the rural women to acquire necessary education that will help them in occupational diversification. It highlights the development of human capital among rural women in order to equip them with the necessary skills to work in various occupations gainfully employed for higher returns. This study is one of very few studies which have investigated human capital attributes influencing rural women in occupational diversification. The economic planning assumption is that all rural people are involved in agricultural production, but social changes show that rural women are also involved in non-farm occupations and are highly influenced by human capital attributes. Agbamu, J.U., 2005. Problems and prospects of agricultural extension in developing countries. In agricultural extension in Nigeria. (Eds). F.S Adedoyin. Agricultural extension society of Nigeria, Ilorin. pp: 159-169. Akinnagbe, O.M., 2011. Evaluation of cocoa resuscitation programme in Southwest Nigeria. PhD Thesis, Department of Agricultural Extension, University of Nigeria, Nsukka, 40. Banful, A.B., E. Nkonya and V. Oboh, 2009. 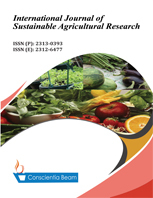 Constraints to fertilizer use in Nigeria: Perspectives and insights from the agricultural extension service. Nigeria strategy support programme brief. Abuja: International Food Policy Research Institute (IFPRI), 6: 1-5. Bryceson, D.F., 2000. Rural Africa at the crossroads: Livelihood practices and policies. Natural Resources Perspectives, 52: 1-4. Daily Champion Newspaper, 2009. Empowering women. 24. De Janvry, A. and E. Sadoulet, 2001. Income strategies among rural households in Mexico: The role of off- farm activities. World Development, 29(3): 467-480. Ekong, E., 2003. Introduction to rural sociology. Uyo, Nigeria: Dove Educational Publishers. pp: 256-288. Ellis, F., 2004. Occupational diversification in developing countries and implications for agricultural policy. Overseas development group (ODG), University of East Anglia: 1-3. Haggblade, S., 1999. Farm- non-farm linkages in rural Sub-Saharan Africa. World Development, 17(8): 1173 – 1201. Hitimana, L., K. Hussein, T. Kangni, M. Malam Abdou and S. Traore, 1995. Strategies for improving income diversification in rural area of Burkina Faso. Montpellier: International Centre for Development Oriented Research in Agriculture (ICDRA), 46: 31-34.
International Labour Organization (ILO), 2009. Introductory guidebook on upgrading informal apprenticeship in Africa, Geneva. Islam, N., 1997. The non-farm sector and rural development: Review of issues and evidence. Food, agriculture and the environment, Discussion Paper No. 22. IFPRI, Washington, DC. Lanjouw, J.O. and P. Lanjouw, 2001. The rural non-farm sector: Issues and evidence from developing countries. Agricultural Economics, 26(1): 19- 25. National Population Commission (NPC), 2006. National population census figure, Abuja, Nigeria. Ranjan, S., 2006. Occupational diversification and access to rural employment: Revisiting the non-farm employment debate Munich Personal Repec Archive (MPRA) Paper No. 7870, 4-8. Reardon, T., 1997. Using evidence of household income diversification to inform study of the rural non-farm labour market in Africa. World Development, 25(5): 735-748. Saith, A., 2002. The rural non-farm economy; processes and policies. Geneva: ILO. Singh, L. and T. Kumar, 1995. Unemployment and poverty issues relating to women. In poverty and employment: Analysis of the present situation and strategies for the future, (Eds). Raghavan, K. and Sekhar, L., New Age International. Tacoli, C., 2004. Rural-urban linkages and pro-poor agricultural goals: An Overview Paper Prepared for the DAC POVNET Agriculture Task Group Meeting Helsinki, pp: 17 – 18. Vyas, V.S. and P. Bhargava, 1995. Public intervention for poverty alleviation: An overview. Economic and Political Weekly, 30: 41-42. Warren, P., 2001. Distance surveys on gender impacts of commercialization, manuscript. Rome: FAO, AGSP.